Having already found success in the US, Pinterest has been expanding the availability of its Promoted Pins function into more regions. The option enables businesses to “boost” certain Pins and get more visibility for their offerings, while also providing links to their online stores or websites in the process. If you sell visually-pleasing products, such as food or fashion items, then Pinterest is the perfect platform for you. But fear not – even if you sell less attractive products or services such as accounting software packages or cleaning products, you can still use Pinterest for your brand. 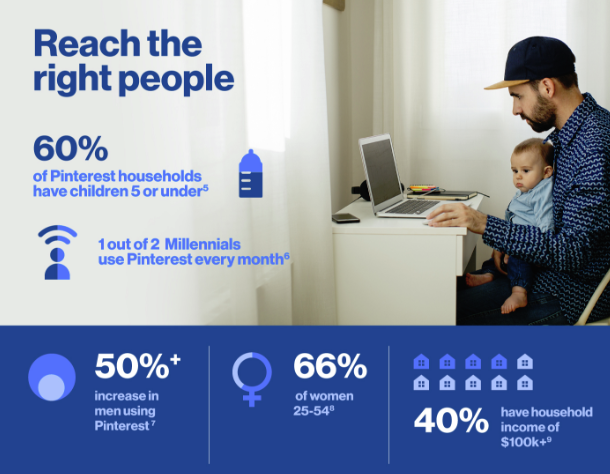 The benefits that Pinterest has to offer aren’t just limited to its boards – the visual focus of the platform also lends itself to other content delivery options. 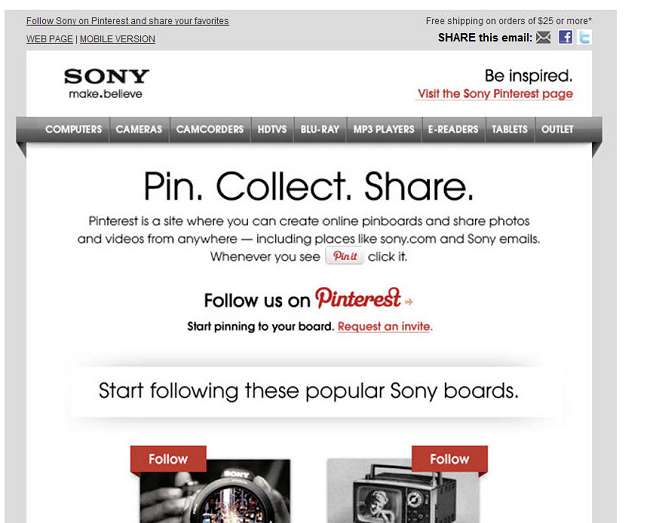 It’s easy to embed Pinterest content into websites and emails – Sony, for example, makes the most of its Pins by incorporating them into its email marketing strategy. While Instagram is gradually rolling out Shopping Tags which enable customers to make purchases in-stream, without ever leaving the app, Pinterest also offers similar with its ‘Buyable Pins‘ and ‘Shop the Look‘ integrations. Though they’re currently restricted to a selected vendors, it’s well worth watching this space, as these options bring a whole new dimension to Pinterest shopping. Where Promoted Pins require customers to click through to online stores to make their purchases, Buyable Pins let them buy products or services in-app – they need only click the blue ‘Buy It’ button above a Pin to purchase straight away. This option currently works with most eCommerce systems – having initially been made compatible with Shopify’s simple retail storefronts and Demandware’s now-absorbed platform, it was swiftly expanded to other major CMSs like BigCommerce and Magento. With its embeddable Pins making it easy for customers to share the things they like with others, its convenient purchasing options, and a visual flair all of its own, Pinterest has an undeniable allure. Every day, more and more brands are catching on to what this platform has to offer – so make sure you’re not left behind.